In the latest edition of the Green Rush Podcast, Lewis Goldberg sits down with Joe Lusardi, CEO of Curaleaf which just completed the largest RTO – or reverse take over – in the history of US cannabis companies and carries a $4.5 billion valuation. Within the conversation, Joe and Lewis discuss the historic RTO and the process of raising $400 million. In addition, the two discuss Joe’s introduction to the cannabis industry, the benefits that come with company deciding to go public now, and what Joe’s keeping an eye on as we inch closer and closer to the midterm elections next week. Joseph Lusardi has more than 20 years of success in finance and private equity. 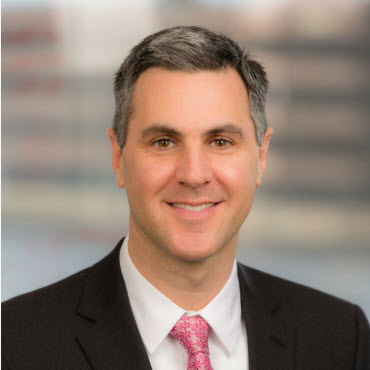 He held previous executive positions at Affiliated Managers Group, Liberty Mutual Group and Devonshire Investors (Fidelity Investment’s private equity arm). A pioneer in the US cannabis industry, Mr. Lusardi is credited with opening the first vertically integrated cannabis operation on the East Coast and has more than seven years’ experience developing and operating medical cannabis companies in highly regulated states. In 2010 and 2014, Joseph Lusardi developed Maine Organic Therapy and Alternative Therapies Group, the first medical cannabis companies in Maine and Massachusetts.